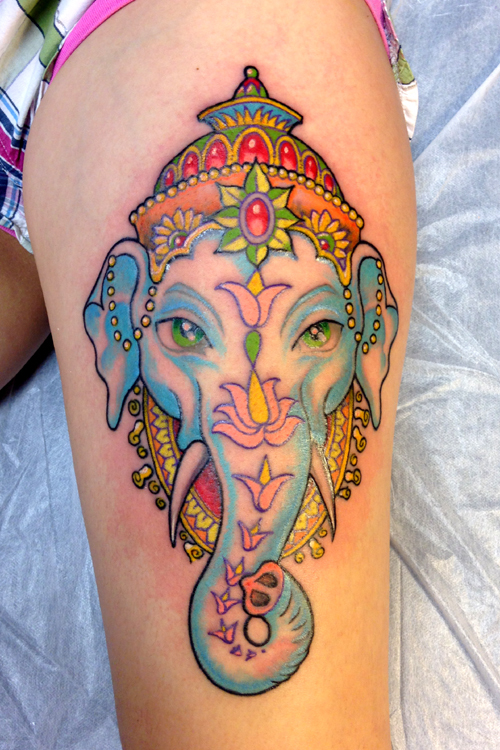 JLS Tattoo Studio: Custom Tattooing in Red Hook, NY. Whether you're pondering your first small tattoo or looking for a large custom piece to extend your personal story, I can help you! I devote my extensive design training and experience and exceptional craftsmanship to each tattoo I perform. Great tattoos have the power to narrate and extend our personal stories. There is a rich symbolic vocabulary in traditional tattoo designs from cultures around the world, and there is magic and power in finding the right imagery for a particular event or story in our lives. 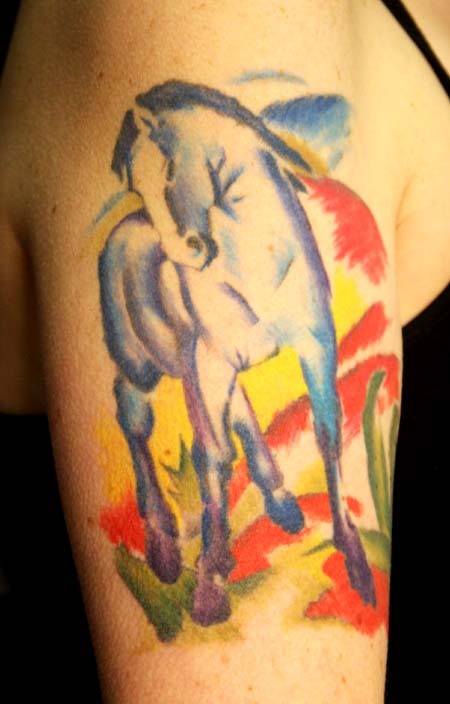 And of course the decorative beauty and interest of a tattoo desgin is a significant aspect for me. My custom design work embodies personal meanings and stories in beautiful artwork that lasts a lifetime. Infection control is a top priority for me. I use only single-use disposable factory-sterilized needles and tubes. I have been trained in and adhere to tattoo infection control best practices, and I am a NYC licensed tattoo artist (which really just means I took an infection control class). Please feel free to ask any questions you may have about infection control, I'll be happy to answer. Please note that is illegal in New York State to tattoo anyone under the age of 18. You will need to present a current driver's license or other verifiable picture ID. No exceptions! In 1989 I had some friends that opened a tattoo shop called "Skin Deep" (long gone) in my hometown of Bryan, TX. I wasn't doing anything productive at the time (idle hands...), so I started hanging around the shop. I started drawing custom designs, drew one for myself and got tattooed by "Tattoo" James Crabb. One thing led to another... James became my mentor and taught me how to rebuild a machine, solder needles (old-school! ), lay in some solid lines and shading, and a few of the thousand other things a tattooer needs to know. I started tattooing myself and a few willing tattoo addicts that hung around the shop, and managed to learn a workable set of basics. 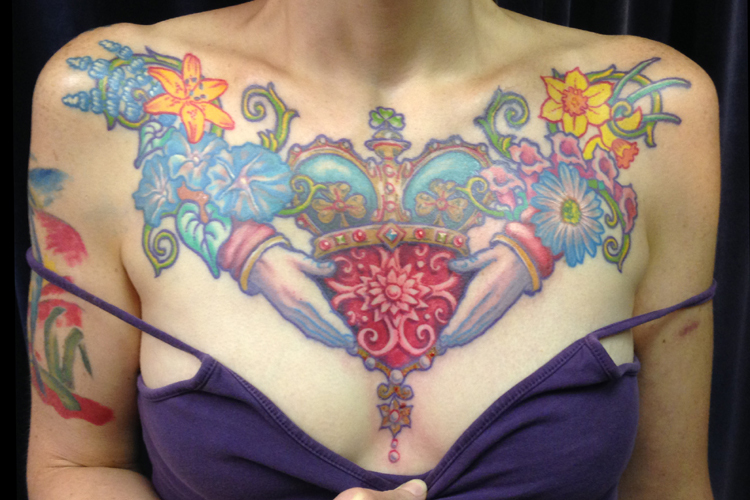 I continued to tattoo and draw at Skin Deep, and began to realize that art was my passion in life. I made my way to art school, immersing myself in drawing and printmanking, and tattooing my fellow students for spending money. While working at Skin Deep I met Michael C. Bridges, who later opened a shop called Tattoo Consortium, which is still going strong! After art school Michael gave me a seat at the shop, wihch had become quite busy, and I spent a year "in the trenches", building my skills. The bright lights beckoned, and I moved to New York City. I hooked up with a fellow named Spider Webb, a significant name in the tattoo world in the 70's and 80's. His studio was a madhouse, and he had delegated most of the tattooing to an apprentice, a very sweet girl and wonderful tattooer named Dragonfly. That studio and it's madness became my life for awhile, but there wasn't much serious tattoo work happening for me there, so I moved on. I spent a year back in Texas and Michael was good enough to give me a seat back at Tattoo Consortium. It was a good year in the shop and I did a lot of work that I'm proud of. I ended up back in New York City, where it was still illegal to tattoo, and my tattooing career fell by the wayside for a time. I moved to the Hudson Valley in 2004 and began pursuing my art career with a focus on painting. I had been looking for an opportunity to start tattooing again, and when I made the move to a large art studio space I turned a portion of it into a tattoo shop and started pushin' ink again. I've worked in several street shops in the Hudson Valley but I've decided to work strictly by appointment from my private studio for now. I've been fortunate to find some great clients with some brilliant ink ideas, and I'm doing the best work of my career. I hope you'll check out my work and stop by sometime to talk tattoos! Tattoos and Custom Tattoo Designs by Jim Stevenson. Serving Red Hook and Rhinebeck NY, Northern Dutchess County, and the Hudson Valley.